With Windows 10 we got a new browser called Microsoft Edge, and although Microsoft Edge is designed as a successor to Internet Explorer, some users aren’t pleased with Microsoft Edge and they don’t want to use it at all. 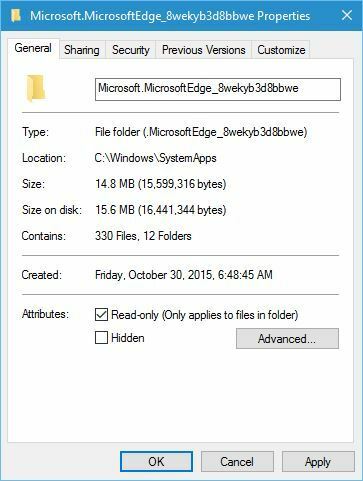 In fact, some users even want to uninstall Microsoft Edge completely from Windows 10. Microsoft Edge is a core component of Windows 10, and by uninstalling it you can potentially cause instability issues. Bear in mind that you’re removing Microsoft Edge at your own risk. Locate MicrosoftEdge.exe and MicrosoftEdgeCP.exe and rename them to MicrosoftEdge.old and MicrosoftEdgeCP.old respectively. 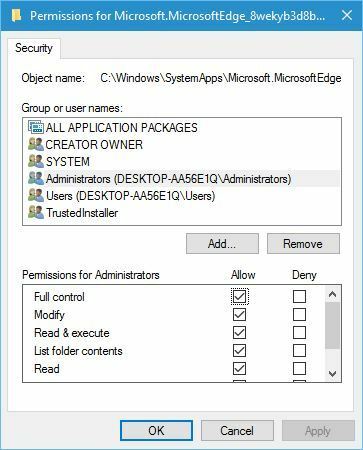 This will change the extensions of the files and disable Microsoft Edge completely. You can also remove these files, but that might lead to system instability. 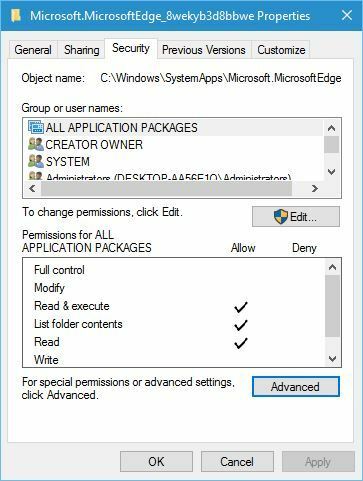 Optional: If you want to enable Microsoft Edge or if you’re having any issues after disabling Microsoft Edge, just repeat the same steps and rename MicrosoftEdge.old and MicrosoftEdgeCP.old to MicrosoftEdge.exe and MicrosoftEdgeCP.exe. Right-click the Microsoft.MicrosoftEdge_8wekyb3d8bbwe folder and choose Properties. Once Advanced Security window opens, locate Owner section. It should be assigned to Trusted Installer. Click the Change link. 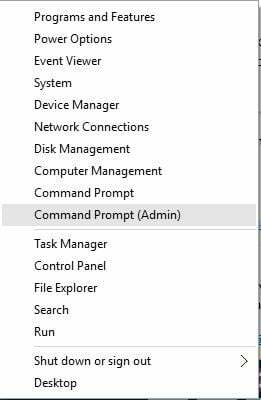 In Enter the object name to select enter Administrators, if you’re using administrator account, or your account name and click Check Names. After you click Check Names your input should change, but that’s perfectly normal. Click OK.
Go back to Security tab and click on Edit. 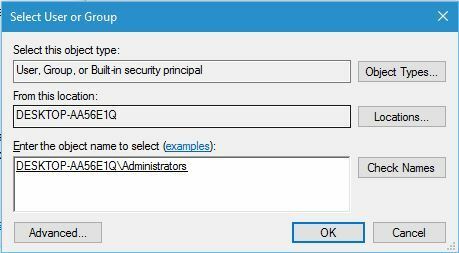 Select Administrators from the menu and in Permissions for Administrators section select Full control. 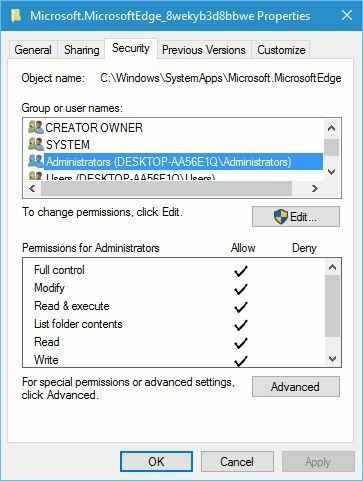 We have to mention that disabling Microsoft Edge by changing its extension is less destructive method that won’t cause any issues with your operating system, so we urge you to disable Edge instead of removing it from your computer. Microsoft Edge is a great web browser, far superior than its predecessor, and although we showed you how to uninstall it, bear in mind that uninstalling a core component of Windows 10 can lead to certain issues. If you don’t want to use Microsoft Edge, you can simply disable it, or use another web browser instead. UPDATE: Soon, you may not even have to manually uninstall Microsoft Edge from your Windows 10 computer. Recent news suggest the Redmond giant gave up hope and decided to ditch Microsoft EdgeHTML completely. This is actually a wise decision. Edge was launched in 2015 but has failed to become a popular browser. Three years after the official launch, the browser has a tiny 4% market share that it’s going downhill. Until then, if you still want to remove the Edge browser, follow the instructions listed above. Editor’s Note: This post was originally published in May 2016 and has been since updated for freshness, and accuracy.